Things are really moving along in the planning for our new museum. 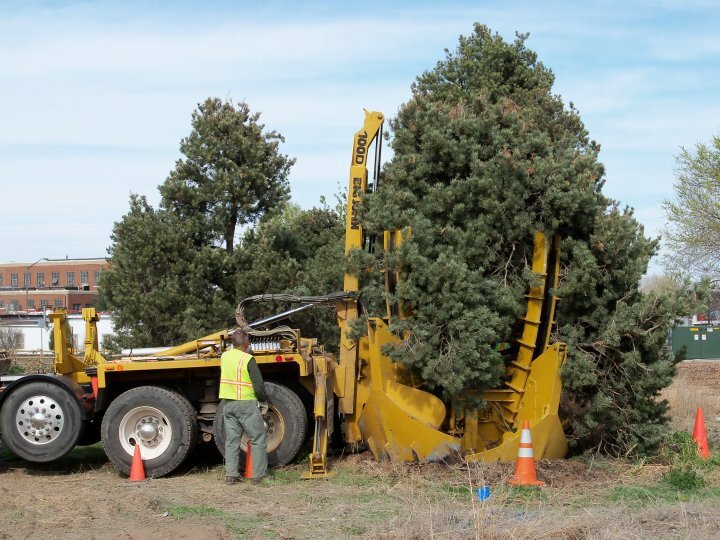 And when I say “things,” I mean “trees.” In preparation for out groundbreaking this summer, trees that were currently sitting within the new museum’s footprint were relocated to other sites on our property. This way, we get to keep the trees, without having them growing in the middle of our lobby. Since I started working at the Fort Collins Museum & Discovery Science Center, I’ve gotten to wear some interesting outfits. 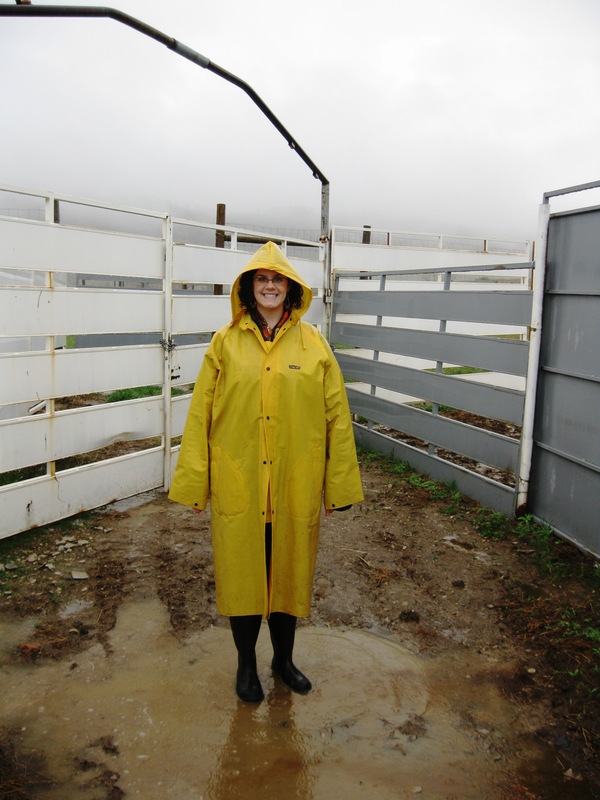 I’ve donned lab coats and goggles, snake gaiters and hiking boots, and last week I got to add jumpsuits, waders, and giant yellow slickers to the list. Why dress up like the Gorton’s Fisherman and head out into the pouring rain? I was going to see bison. The boots were about three sizes too big, but I only fell down once! Did you know we have bison in Fort Collins? I sure didn’t, until I learned about the National Wildlife Research Center (NWRC). 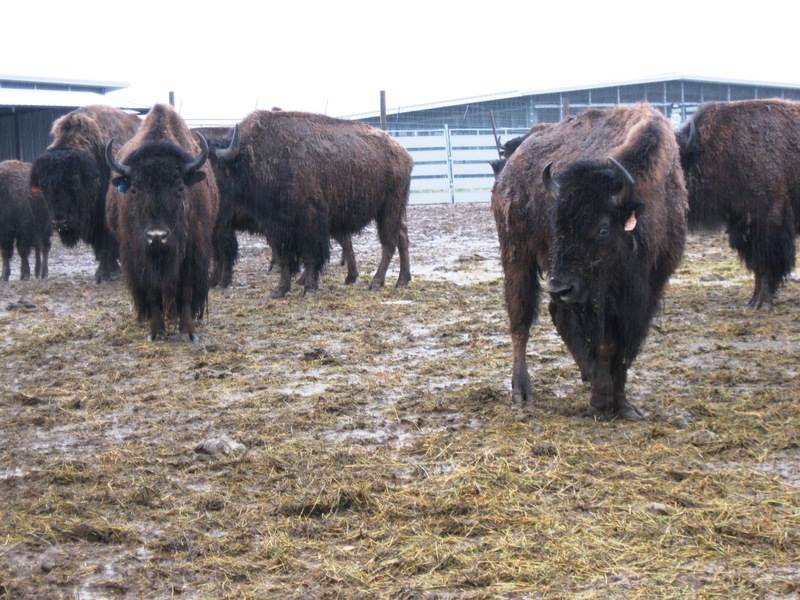 And these aren’t just any bison (who, by the way, are North America’s largest land animal). These bison are part of a herd of genetically pure plains bison (no cow genes mixed in) from Yellowstone National Park that are being used to establish new bison herds throughout the west. It’s been estimated that in the United States there used to be 60 million bison throughout the country, and by 1900 that number was down to just over 1,000. Today, there are over 400,000 bison in North America, but only 1-3% of them are estimated to be genetically pure. 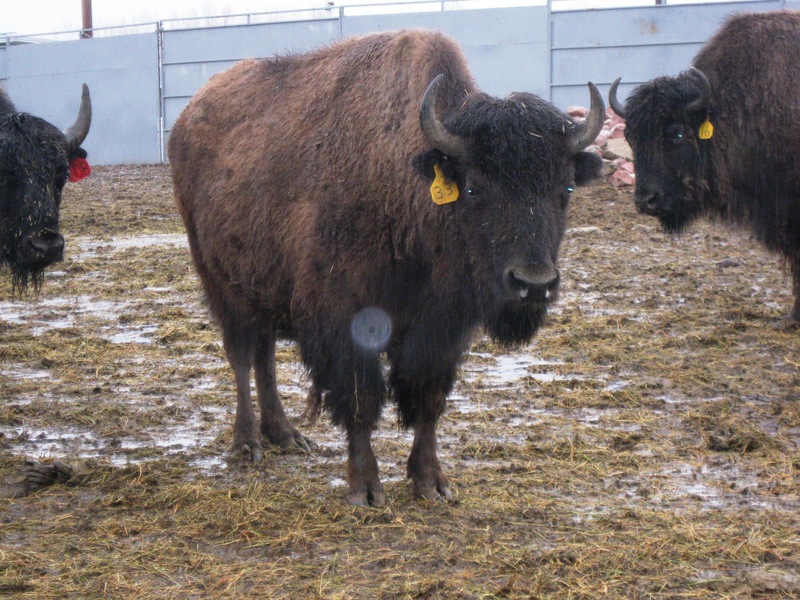 The NWRC has been working with bison since 2005, with the specific goal to ensure that bison used to start new herds are free of Brucella, a group of bacteria that cause brucellosis, a disease in both ruminants (bison and cows) and humans. Because of the highly contagious nature of the disease, which causes weight-loss, infertility, decreased milk production and spontaneous late-term abortions in animals, as well as fever, anemia, muscle pain and depression in humans, you don’t want infected animals in a start-up herd. 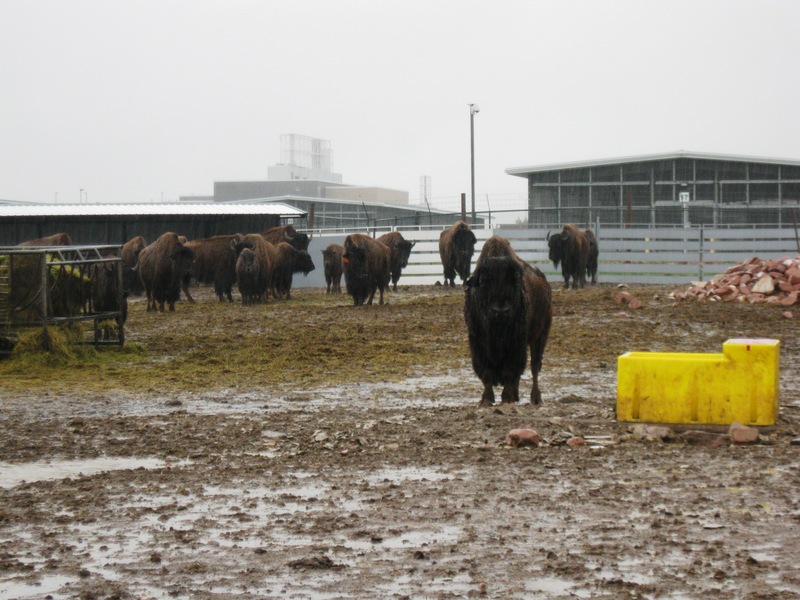 Bison at the NWRC are brought in as calves and kept in quarantine for 3-4 years to make sure that they aren’t infected with Brucella. 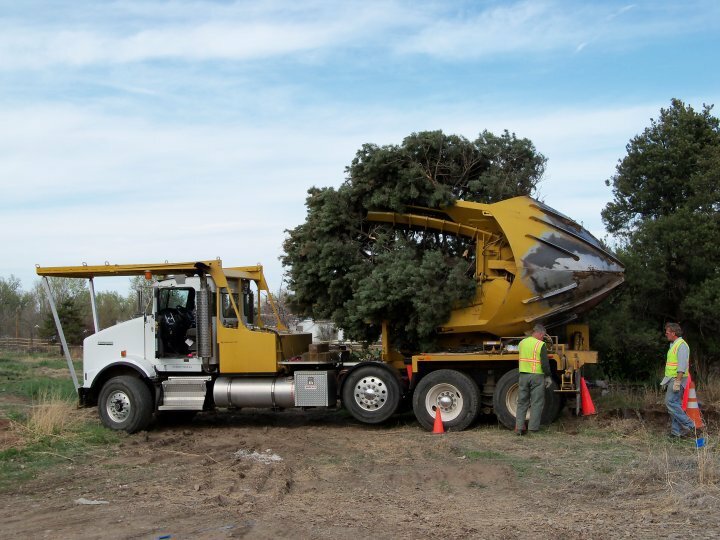 Once the animals are certified healthy, they’re sent to their new homes. 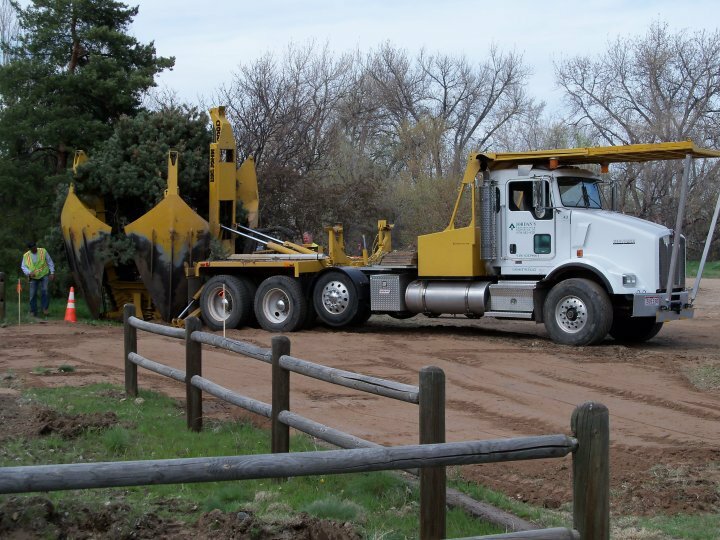 Will any of the bison from this project be used to populate Colorado? We’ll have to wait and see. But, for now, it’s nice to know that the ones at the NWRC will be put back onto the landscape they once covered. When Shadow the Arson Dog visited us last month, it got me thinking about times in Fort Collins history when we really could have used an arson dog. Several fires in a single building in Old Town come to mind immediately – the 100 block of W. Mountain Avenue, the Welch Block is Austin’s American Grill today. It is the scene of three suspicious fires in its 130+ year history. In 1880, L.W. 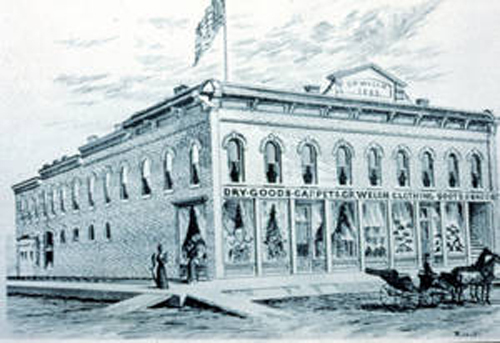 Welch owned and operated a mercantile on the first floor of the building, while the second floor housed apartments where Welch’s family, two employees, and a handful of other people lived, 12 in all (including Dr. Timothy Smith, the physician from Camp Collins who was responsible for inviting Auntie Stone and her husband to come live at the army post). The fire on February 3 was discovered by a passer-by (who later became the victim of Fort Collin’s only documented lynching, but that’s a story for another blog) at about 11 pm. Most people living in the building escaped. Six climbed through the second floor windows while 2 jumped from the store’s front awning All of them survived a 12-foot drop, including Mrs. Jacob Welch, who was cradling her toddler grandchild at the time! Sadly, two people died: Mr. Welch’s store clerk, 24 year-old A.F. Hopkins, and 20 year-old bookkeeper Tillie Irving. Miss Irving was sleeping in her apartment that night when others warned her to evacuate. She likely died trapped in her room, attempting to put on her corset before leaving. Some people think she must have been vain; some people laugh when they hear the story. I find it a sad testament to the strict etiquette required in Victorian society. Miss Irving, as an unmarried woman, would have been ruined socially had she left her apartment in her nightgown only. Newspaper accounts from the time reported that the police suspected arson. One of the victims, Mr. Hopkins, was found, partially burned, in the store. A common theory of town residents held that Hopkins may have heard a burglar in the store and went from his upstairs apartment to the first floor to investigate. There, the burglar killed him and then set the store on fire to cover his tracks. Miss Irving’s remains were also discovered on the first floor, although it is believed that she fell through the floor from her upstairs apartment during the fire. Just imagine, if the volunteer fire department at the time had a Shadow! They could have determined if the fire was set intentionally. Maybe they could have found justice for A. F. Hopkins and Tillie Irving. As a side note, the Welch block had two other fires in its history, both suspicious and both considered to have been likely caused by arson. You can learn more about the Welch Block fire at the Fort Collins Local History Archive. We’re thrilled to receive this recognition for the work we do in the Archive. Our research assistants Pat Walker and Tiffani Righero, along with our trusty work-study students, our fantastic Archives intern, and our excellent group of volunteers make this place run…and they make it fun! 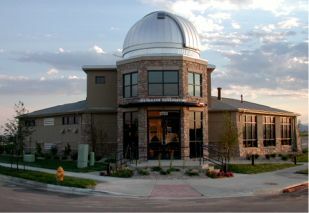 We’re also thankful for the fantastic support we get from everyone at the Fort Collins Museum & Discovery Science Center. Everyone here works together to share with the community all the extensive resources we have that help tell the story of Fort Collins. Finally, we greatly appreciate our many wonderful researchers who have been making use of the Local History Archive, and our generous donors of local historical artifacts who have made this resource available to the public. The award will be presented to the Local History Archive by Fort Collins Mayor Hutchinson at 5:30 pm. on Tuesday, June 1, 2010, at City Hall West, 300 Laporte Avenue, prior to the City Council Meeting. This ceremony will also be televised on City Cable 14. 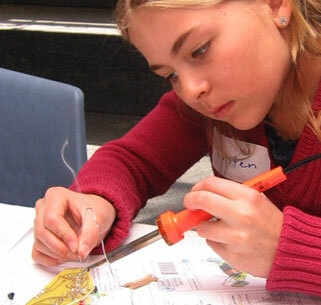 The Fort Collins Museum & Discovery Science Center hosted the district-wide science fair on Saturday, April 17. What a great opportunity to see students applying the scientific method to questions and investigations, some obviously inspired by their daily lives: “Rotting Bananas” and “Sharpie Be Gone” – I’m just sure these were the result of personal experiences! I am personally deeply invested in the success of girls in STEM (science, technology, engineering, and math) education, so I used our entrants list to crunch a few numbers about female participation in the fair. Since this is the district wide fair, our contestants were the students who ranked in the top 3-5 places at their individual school’s science fairs. I’m happy to report that we actually had more female entrants this year (41 girls to 40 boys – yeah, yeah, I know, more girls by only 1, but still!). I think this is a great sign that our girls are just as likely as our boys to place at the top in their school’s science fairs. Things took a slight turn in the rankings at our district fair. We had one clear winner, a 5th grade boy. Our second place award was a tie between a 5th grade boy and a 4th grade girl. Additionally, the top 1/3 ranked science fair entrants are recognized with “Superior” and “Excellent” designations. This year, 30 students received those awards. Happily, we had an equal number of boys and girls in this top 1/3 (not counting the first and second place finishers). Interestingly, when I broke the numbers down a little further, things were not quite so balanced. We awarded 10 “Superior” designations: only 2 of those recipients were girls. Of our “Excellent” designations, 12 were girls. The boys were more evenly divided between the two designations (8 Superior and 6 Excellent), but clearly the girls were not. So, while girls are just as likely as boys to reach the district science fair, and just as likely as boys to finish in the top 1/3, they were not as evenly represented in the top 13 spots: 10 spots were won by boys, with just 3 spots won by girls. This is the first year I’ve participated in the coordination of the Science Fair and so was the first time I looked at the gender breakdowns for participation. I’ll be sure to look again next year, and the year after that, to see if we can spot trends. For this year, I’m pleased with the statistics. Last week I heard an interesting piece on NPR’s All Things Considered: Wisconsin may soon have a state microbe. A bill to designate Lactococcus lactis, a bacterium used in making cheese, as the state microbe has passed the Wisconsin Assembly and is now going to be voted by the state senate. If the bill passes, Wisconsin will be the first state to have an official microbe. Well, why let Wisconsin have all the fun? Colorado already has a State Rock (Yule Marble), a State Dance (Square Dance), a State Reptile (Western Painted Turtle) and a State Tartan (see it here), so why not a State Microbe? “What microbe?,” you might ask. Well, I’ve given it a lot of thought – and I know my suggestion is going to be controversial – but at this moment I would like to formally suggest that Colorado’s state microbe be … drumroll, please … Giardia lamblia. 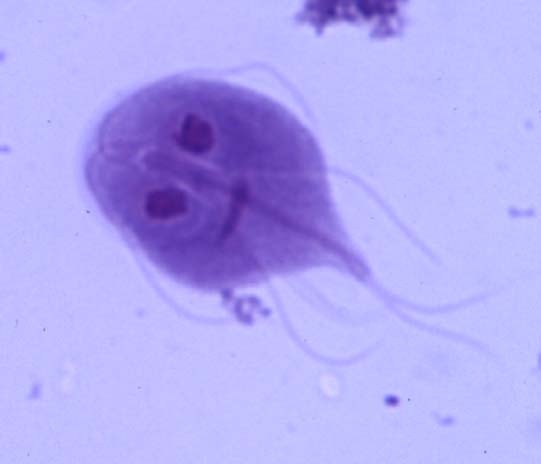 Giardia is a flagellated freshwater protozoan parasite found in almost every Colorado mountain stream that commonly infects humans, dogs, cats, birds, sheep and deer and other mammals. Infection with Giardia is often colloquially called “Beaver Fever,” and as many people can attest to, not very pretty. I know what you’re all thinking. L. lactis makes sense for Wisconsin — the bacteria helps make cheese, and Wisconsin is known as the “Cheese State.” Do we really want to be known as the What-Giardia-Does-To-You-State (this is a family-friendly blog, so if you don’t already know what Giardia does, you can learn about it here)? Perhaps not, but I can’t think of a microbe more ubiquitously associated with Colorado. The first documented waterborn outbreak of Giardia was in Aspen, Colorado in 1965, and Colorado has had more outbreaks than any other state. It may not be the prettiest microbe, but it’s worked its way into our history, our hearts, and our intestines. Of course, that’s just my vote for Colorado’s State Microbe. If you had the chance to choose, what microbe would make it to the top of your list to represent Colorado?